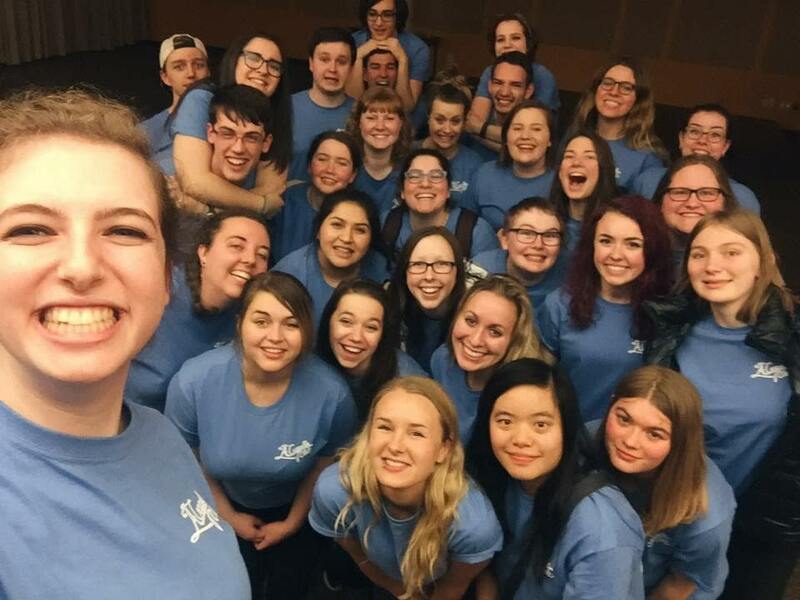 Western's A'Capella Club is made up of three ensembles: All Aboard, our non-auditioned mixed ensemble, Major Treble, our auditioned women's ensemble, and Rebel Clef, our auditioned men's ensemble. We would like to start by outlining some of our achievements from the 2016-2017 school year. All Aboard went on tour to Seattle for the first time in the club's history and performed more frequently than ever before. Major Treble and Rebel Clef competed in the International Championship of Collegiate A'Capella and were among the top a'capella groups in the region. As a whole club we were able to organize two retreats during the year, which allowed us to make significant improvements in our music and create a stronger community within our club. Two of the groups were able to arrange songs completely by ear, and all three groups put significant time and effort into creating music videos that highlighted each group's favorite song from the year. Last year was full of exciting new opportunities and valuable learning experiences for the whole club, and we are hoping to have a similarly productive year moving forward. All Aboard on their tour to Seattle in April 2017. Club members feel that A'Capella is a great place to make friends, and has been a strong support system for them during the more stressful times of the school year. Through connections with off campus music groups and performances all over the state, we are committed to building relationships with the community outside of Western as well. We are raising money so that we can have the financial support to continue to share our music in the community both inside and outside of Western. Money raised will go towards transportation and hotel fees for the club's yearly tours, during which we are able to travel to other parts of Washington and surrounding states to exchange with other a'capella groups, gain valuable performance experience, and spread our love for music across the West Coast. Funds raised will also go towards application fees and transportation costs for the International Championship of Collegiate A'Capella, an incredible competition and performance opportunity for our two auditioned groups: Major Treble and Rebel Clef. Major Treble and Rebel Clef on their tour to Eastern Washington in January 2017. In stressful and difficult times, people often turn to music in order to ground themselves and connect with their community. 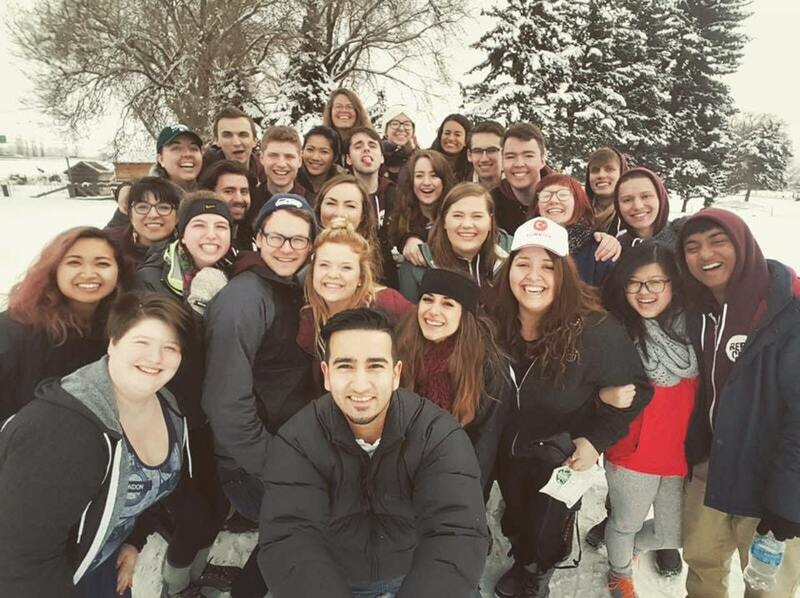 It is A'Capella Club's main goal to reach diverse groups of people through our music, both on and off Western's campus. With the funds we hope to acquire through this project, we aim to share our music as widely and as meaningfully as possible. If you live in the Bellingham area and would like to see us perform, A'Capella Club is having a concert on Thursday, December 7th in Arntzen 100 on the WWU campus. Doors open at 6:45 pm, show starts at 7pm, and admission is free! We'd love to see you there. Below are links to All Aboard and Rebel Clef's music videos created during the 2016-2017 school year if you'd like to check them out! A donation of this size will purchase one t-shirt for our club members to wear during performances. Thank you for your support! By donating this amount you are helping us to create posters and banners to publicize our quarterly concerts and other club performances. Thank you for your support! This gift will help our groups go on tour to other parts of the West Coast by paying for gas for one of our drivers. Thank you for your support! This gift will help us to book a venue for our club retreat. Thank you for your support! A donation of this size will cover the application fee for one of our groups to be able to compete in the International Championship of Collegiate A'Capella. Thank you so much for your support! This gift will allow us to extend our tour by a whole day by paying for lodging and transportation costs. Thank you so much for your support!